Last month, Amyris (AMRS) and Chevron (CVX) announced that Novvi and Chevron have entered into an agreement to jointly develop and bring to market novel renewable base oil technologies. 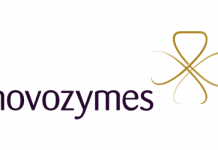 Novvi is Amyris’ JV with Cosan (CZZ) to produce targeted hydrocarbon molecules from plant sugar for automotive, industrial, marine, and construction applications at unbeatable economics. Think lubricants for engines and machines. Since launching its first commercial production in 2014, Novvi has been steadily increasing its base oil production to keep up with robust and growing demand for a variety of automotive, marine and industrial applications. Meanwhile, Chevron has one of the world’s largest base oil manufacturing platforms through its own refining network and its base oil technology licensing position. In 2016, Chevron announced an equity investment in Novvi. 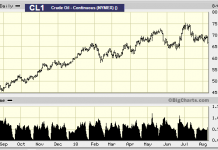 It’s good news for Chevron, Amyris and Novvi — and great news for consumers — and it reminds us that just a few years back the market was expecting that Amyris’ great partners would be the likes of Chevron because of the chase on for renewable fuels. That the mutual advantage opportunities for this pair have dovetailed into base oils, that you hear more about DSM Nutrition than Total among Amyris’ backers, that the company has embarked on a major voyage into the health & beauty sector — these are all signs of Amyris’ great pivot. And lessons for all lie in what the company set out to do, what it finds itself doing, and how it sustains itself and its workforce now that its vision has changed so much and people who signed up to change the world find themselves working on facial formulations. These days, for marketing purposes Amyris has trademarked the phrase No Compromise, but of course the entire company’s mission is a compromise and in fact it is the source of Amyris’ strength, it ability to adapt to changing conditions and find news ways to pioneer when the expected pathways to success turned out poorly for them. The unexpected is not to be unexpected — in fact, we live in a new world where markets are disrupting just as fast as science is, making it difficult to bring new products forward, anticipate trends, plan for the future, count on policy support, or tame the flighty tendencies of a fickle public. We live in a world of Facebook, Twitter, Tesla (TSLA), taxis with an app, drones above our head, and cars without the driver, we have meat without the cow, milk without the cow, leather without the cow. We live in strange world that is getting stranger. Fast is getting faster, information is beating down our doors, and for all the communication devices we carry around and use obsessively, half the world reports they are feeling more lonely. How can companies become ready to meet the evolving markets that GenXers and Millennials have begun to dominate? Absent a crystal ball, it certainly isn’t about the kind of corporate forecasting we used to see in the 1990s that didn’t anticipate Y2K, the dot com revolution, the dot com bust or 9/11. Or the kind of forecasting we had in the mid 2000s that didn’t anticipate the global financial crisis, the mortgage crash, the oil price crash, the rise of fracking, the Moore’s Law environment in genetics, or the advent of mobility as a service. How fast is fast becoming? To give an example, a company using a 300 baud modem in 1993 (and most companies back then couldn’t even have told you what a baud was, 300 was decent speed back then), could transmit a single color page over the internet in about 12 hours, if you could hold the connection that long, which you almost never could. Today, information travels up to 13 billion times faster via the internet. And it cost a billion dollars to decode a genome just 20 years ago, and today we’re looking at a few dollars and not long from now it will be pennies. You can get more out of a call to 23andMe today than you could get from all the scientists of our national lab system a generation ago. What can you really do in an economy that is changing this fast and that much? At the end of the day, values drive habits, habits drive actions, and actions change the world, so if you really want to change the world, it better start with values, rather than value. The value is a product of values, not the other way around. In some ways, the company is probably going to have to think and organize itself the way that military organizations have begun to. The missions change, the tools, the team, the methods, the goals, the partners, the uniforms, the bases, the timelines. But Semper Fi goes on and on and on. The Marines are a philosophy in action, if you think about it, nothing else lasts and not much else matters except the who and the why. The what, the where and the how are ultimately the liquids of defense preparedness. The people and the values are the solids. These days Amyris has put its values almost on the home page of its website — it’s just one click from the right location, found as you scroll down a bit on the page titled About Us — and there, the company says that it aims to “make good things, make good impact, make good choices, make good together and make good processes”, and these days they refer to embracing “intelligent risk” as a “learning organization”. Amyris has learned a lot, sometimes by not always taking intelligible risk, even if it was styled intelligent risk. When the company was founded it was essentially focused on fuels, which made sense to many people at the time because fuels were (and remain) the giant app of the bioeconomy. And, if you could make fuels, you could make chemicals, because after all a fuel is simply a chemical that you burn instead of otherwise using in, say, green chemistry. A company that could make a good $3 fuel could do a lot for itself also selling $5 chemicals made from the same process, and fuels would give the company the base load to achieve meaningful commercial scale. So went the idea, anyway. The inherent problem was that the company’s primary value engine, converting cane sugar to farnesene via yeast fermentation, was based around a maximum theoretical yield of 28%, and required a second processing step from farnesene (an alkene) to farnesane (a good fuel hydrocarbon). What was the problem in that? To make a $3.00 gallon of fuel, which weighs in the range of 7.5 pounds, you needed sugar to be available at below 10 cents a pound (which costs you around $2.67 in raw materials even if that’s all the cost there is, which it’s not, and even if you hit the 28% theoretical yield limit, which you never do). Well, sugar never did fall that low. Right now, it trades on the NYMEX futures board at between $0.126 and $0.144 depending on delivery month, and there’s no 10 cent cane sugar in sight. So, Amyris ran into the NLACM problem we have written about here and here. That is, the Natural Law of Alternative Commodity Markets, which states that no one will use a commodity to make another commodity of lower value. In short, you might as well sell the sugar as sugar. The hope, one supposes, was that fuel prices would go bananas and Amyris could make a $5 fuel, or that companies would pay a small premium to blend in sustainable fuels sold at a green premium. Then, oil prices crashed — and green premiums were as easy to find as Chinese take-out on Neptune, and Amyris began a furious pivot towards the businesses it is in today. The company is projecting for 2018 that it will reach $185-$195 million in revenue and expects more than $10 million of positive EBITDA for 2018. That’s striking — in its slides, it refers to being self-funding in the next year. Last November we reported on Amyris’ No Compromise sweetener-market entry, and news that it has sold its 40 million liter capacity Brotas production plant to DSM for $96 million, while it focuses on completing its Brotas 2 plant, where it has not yet revealed the capacity. Amyris has alluded to discussions with “very large consumer companies” regarding the sweetener product, which at the analyst day was referred to by an attendee in the Q&A as “Stevia-like”. Management viewed its “Sweetener 1” product as the company’s largest opportunity though 2021. The company expects a strong ramp in product sales in 4Q, which we believe to be driven largely by health and nutrition. The DSM-Amyris deal? As CEO John Melo was clear in announcing the sale, Amyris needs different production capacity to realize its current opportunities in higher-value, smaller-volume markets. Total consideration for Amyris Brasil Ltda (which owns and operates the Brotas 1 production facility), intellectual property related to farnesene and an additional value share arrangement over a 3-year period amounts to $96 million. In addition to the consideration upfront there is potential for a future value share in line with Amyris’ business model. 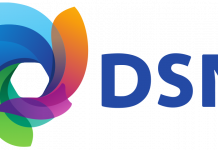 DSM will continue existing supply-agreements to Amyris and other parties. DSM will also supply Amyris with specialty compounds until it realizes its Brotas 2 specialties production facility. Amyris is accelerating the construction of its second facility dedicated to specialty products while maintaining the manufacturing process development and business support capability located in Campinas, Brazil. Then, there’s the Vitamin A front. 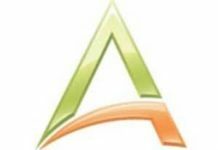 As we reported last September, Amyris announced that it has entered into a product development and production agreement for Vitamin A with Koninklijke DSM N.V.
New production bases? Last June we reported that Amyris and the Government of Queensland announced the next step in their plans to develop a leading industrial biotechnology hub in Southeast Asia. 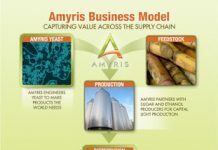 Plans call for developing a new production plant with support from local partners to produce Amyris’s sugar cane-based ingredient called farnesene, which is used in products including cosmetic emollients, fragrances, nutraceuticals, polymers, and lubricants. Let’s not overlook Biossance, its health & beauty platform. Latest news there is that Amyris successfully launched Biossance into SEPHORA Canada stores, with SEPHORA U.S. sales during the year overall contributing to a greater than 650% increase in total 2017 Biossance retail sales over 2016. The company introduced pharmaceutical grade Neossance Squalane USP through its Aprinnova joint venture opening new markets among FDA regulated products such as topical and dermal applications, including therapeutic skin creams and ointments. Beyond its products and markets, Amyris is working on informatics and artificial intelligence, for one. 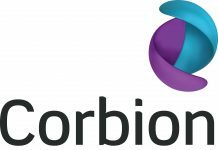 We reported in January that Amyris announced two grants that have been awarded, valued in aggregate at approximately $25 million, to accelerate innovation and enable the company to further extend its leadership position in the industrial biotechnology sector. The first grant is in Europe and focused on furthering the company’s current artificial intelligence and Informatics platform at Amyris and the second grant is from National Institutes of Health for the development of a novel isoprenoid pharmaceutical application. Forecasting is generally focused on the microeconomy and generally assumes not much will happen in the macroeconomy. “My product will be introduced into a market that is changing only in the forces that foster my product,” is sort of the way those business plans were written. There’s an unknowability in markets, and as former Secretary of Defense Donald Rumsfeld put it, it it is the unknown-unknowns that keep you up at night, not the things you know but the things that you don’t know that you don’t know. Or, as the Talking Heads put it, “You may find yourself / In another part of the world…And you may ask yourself, well / How did I get here? / Letting the days go by, let the water hold me down / Into the blue again after the money’s gone / Once in a lifetime, water flowing underground. Which is why Amyris’s pivots are really a sight to behold, even if the company has been pilloried by its critics who wander around in some post-Keynesian dream that economies are ordered, that state planning or corporate planning works, that innovation is about anticipating and meeting static and ever-reliable market demand with market supply. That theory works very well if you consider that information works in the same way, at the same speed, and at the same volumes as 100 years ago. Amyris, for better or worse, looks a lot like companies of the future will all look — a transformative invention followed by a furious search for markets to serve as expected markets fail to materialize and new ones appear. Which is why I sometimes wish that Amyris billed itself as The Nimble Company™ instead of the No Compromises™ guys. For compromise is what finding markets is all about, and the company that changes the world is the nimble one. Xerox made no compromises, Kodak made few either, and neither did Blockbuster. But Apple didn’t set out to make iPhones, Virgin didn’t start out in the transportation or even the music business, Mars didn’t start out with pet foods, and Microsoft didn’t even write much of MS-DOS, Excel, or the first releases of Windows. Information is changing everything, and especially as biological sciences and information sciences are becoming almost indistinguishable. One of these days we might look at biology as an base-4 information science (with A,C,G.T as the digits instead of 0,1) , and that computer science is ultimately a simplified, inorganic version of biology. Dumbed down and stripped of the forces of life and evolution, perhaps that’s what we’ll one day think of the languages, machines, and technology that we deploy to support information in this day and age. We don’t have much time to think about all that because information is changing, fast, and that means capabilities, habits, actions, and markets are getting shredded and born at high speed. Making havoc for companies that attempt to navigate the choppy waters. But Amyris is coming nearer and nearer to shore. One only hopes that its workforce, those there today and those looking potentially at working there, see the mission that lies behind the products. Biossance is a valuable product platform, but that’s not really what the work is about, is it? Year ago I subscribed to the Musical Heritage Review which wrote of Mozart and the flute this way: “Mozart loathed the flute…nonetheless, he completed and delivered two flute quartets, K. 171 and 298; the concerto, K. 313, and the Andante, K. 315…Mozart chafed under the commission, but he needed the money and hacked away diligently. The opera is today the third-most performed of all operas around the world. What led Mozart to Die Zauberflote? As we see, not love of the flute. It was a commission. Which shows that markets have powerful impact on training great minds upon the task they will become known for; the winds of change blow us towards our most brilliant productions. Isn’t Chevron the company that “invested” in Energy Conversion Devices, Stan Ovshinsky’s company, and then prevented them from publishing improvements to the GM EV1’s battery technology that would have made the EV1 a world-changing car in the late 1990’s? I don’t recall, but I agree with the implication that oil company investment in clean energy companies should be viewed cautiously, especially when it has nothing to do with the investor’s business. This investment, however, is closely related to Chevron’s chemistry business, and so is more likely to turn out well for the investee.